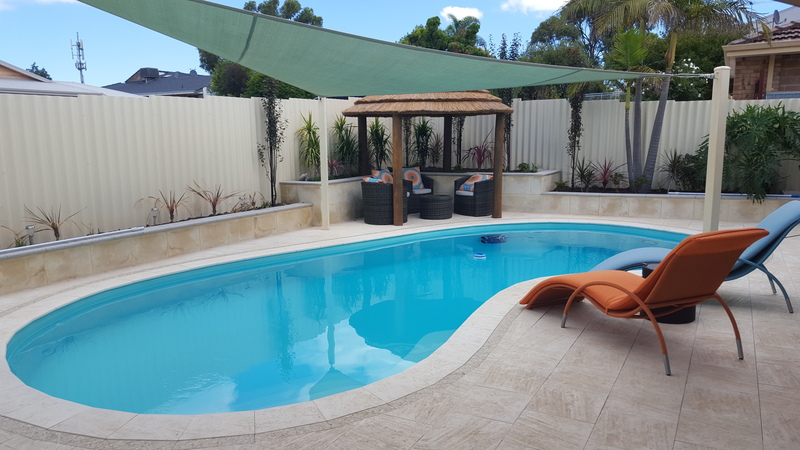 We are a family business servicing the Perth Metro area for over 15 years, specialises in the locating of leaks in Swimming Pools. Using state of the art equipment, finding leaks in your concrete, fibreglass or liner pool is now only a phone call away. Sound Leak Detection offer a full repair service so once the leak is located a quotation will be provided and if acceptable, a prompt repair completed. We understand pool leaks can be both frustrating and costly so we work very hard to ensure a rapid response to provide a quick solution to your pool problem. See our Services page to view the wide range of repairs and services we provide or call me on 0413 872 261 to discuss your requirements. If you need more than just a pool leak repair check out poolresurfacingperth.com.au for all your pool resurfacing needs! It is believed over 80% of all swimming pools leak, it is just the seriousness of the leak that differs. If you think your pool is leaking the first thing to do is complete a bucket test, a video of which can be found on the website, showing clear instructions on how to complete it. A swimming pool, during the Summer months, if it is not covered by a pool blanket, will lose on average 8 – 12 millimetres of water a day. This is dependant on how close you live to the coast. So how do we find the leak if it isn’t visible. If a leak cannot be located via dye testing, we pressure test the underground pipework to establish if the leak is below ground, Electronic listening technology is then used to find the exact location of the leak.